Retired Christchurch-based economist Ron McKenzie recently put my sentiments on the trouble with democracy and the election process in New Zealand into a succinct couple of posts. They are worthy of repeating. here they are with my commentary. Enjoy, and thank the Lord that there are some people out there with a good grasp on reality. I know Ron and have a lot of time for his dedicated, systematic research and thinking. He simply studies the word of God, comes to logical conclusions and then humbly shares it with us. As a result his views are not always mainstream but they are sound nonetheless. The essence of my blogging is that Democracy is an ungodly system of government. It gets a big thumbs down in scripture. I have refused to vote since I first had opportunity, instinctively knowing that there was deception involved in politics; unwilling to put my name to something I couldn’t know or trust, and in time coming to understand why the voting process was so ungodly. I wish that Christians across the globe dug even an inch thicker than they do, and ask the question why they too, mostly, know that things are wrong, but still vote anyway. That people from previous generations supposedly gave their lives for something like democracy doesn’t validate it in God’s economy in the slightest. Neither that it is promoted and accepted by the majority today doesn’t make something valid either – that is simply social acceptance, not necessarily a biblical validation. Democracy and the concept of voting runs contrary to biblical teaching. Here is one man’s take on it all. I concur with these two posts in full. A few weeks ago, an election was held in New Zealand. 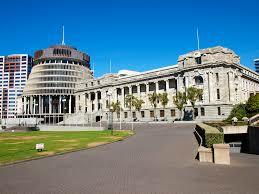 A new parliament of one hundred and twenty men and women will get absolute authority over everyone and everything in New Zealand. They will claim their authority is legitimate, because the country was given an opportunity to vote in an election. I do not accept that claim. I did not participate in the voting charade, because it legitimises an immoral process. I do not recognise their authority as legitimate. This doesn’t mean that he breaks the law or encourages us to. He doesn’t. He means just what he says – he recognises another higher authority. The people elected to parliament will say that the other people who voted gave them the authority to govern me. That is absurd. Another person cannot give someone else authority over me. God made me a free person, so I am the only one who can give someone else authority over me. Anyone who imposes their authority over my life without my permission is a bully and a thug, whatever they pretend to be. This concept affects more than politics. It also affects human-to-human relationships in marriage, at work and in faith. It is the number one lesson I learned after getting called out of the traditional mainstream church – when we submit to a denominational church, we give our authority to another. When we take that back we bring back responsibility for our own walk/destination. I only recognise the authority of one person. That is Jesus. He earned his authority by dying on the cross, rising from the dead and ascending into heaven. God has made him king of heaven and earth. Any other person or group who claims authority over me is a usurper or rebel against Jesus. I do not acknowledge their authority. I can see that the power of the parliament is real. They have the power to take a significant share of the money I earn, and spend it how they like. They can make me do things that I do not want to do, and they can impose serious penalties, if I refuse to do them. I unwillingly recognise their power, but I do not acknowledge their authority as legitimate. It is important to note here Ron’s proviso; he acknowledges their power but not their authority. This is the same as Jesus did with the authorities of His day. I am not going to submit to them, or give their power system credibility, by voting for any of them. I am not going give them authority by voting for them. This is the same as my advice and conduct. Real Christians should not vote, for a vote is a prayer. Our God is a higher power with authority. Voting is a lie. The politicians pretend it is a process for the people to have their say, but it is actually a process for giving authority away. The voter is saying to the candidates, “you can have authority over me”. When we vote, we are agreeing to submit to the people who win the election, regardless of who they are. By submitting to them we are giving them authority over our lives. And voting in whatever form it takes is democracy, the easiest form of government to manipulate for nefarious purposes – something that gets a bum rap in scripture from beginning to end. Ron has noted the reason that voting/democracy is unbiblical – deception. We are deceived into thinking that democracy and voting is good, godly, normal and necessary. It’s none of these. Worse still, we give authority to the spiritual powers that manipulate them. I will explain this in next post. It will deal with the spiritual implications of voting. When the people of a city or nation submit to their political leaders, they give them authority over their lives. If the powers of evil get to control the people at the top of the political hierarchy, they gain authority over all the people submitted to them. Concentration of political power leverages the authority of the powers of evil. The spiritual powers that control political leaders are called “principalities and powers” in the Bible (Eph 1:21). Some, like Prince of Persia, take the name of their nation (Dan 10:20). They have immense authority on earth, despite their defeat on the cross, because people submit to the leaders controlled by them. Political leaders have legal authority over their people, so attacking them gives the principalities and powers control over cities and nations. There’s a little phrase in there that is key, “despite their defeat on the cross”. The vast bulk of Christendom votes. Take just one household where a husband and wife currently vote. Two people united that choose to believe that evil has been defeated, who deliberately, consciously STOP buying into a corrupt system who refrain from voting and you have a serious change in the country. Such is the nature of introducing light – the cockroaches flee. The work has already been done 2,000 years ago! Oh how many countless hours of intercessory prayer for civic leaders and cities and nations have been wasted over the years when something so basic as this exists? Focussing on individual people is a very inefficient way for the powers of evil to use their shrinking power. If an evil spirit gains control over one person, it can make that person’s life miserable, but that is all. By getting control over a political leader, the same spirit can make an entire nation miserable. The powers of evil amplify their power by attacking people with political authority. The power of evil is mostly an illusion, but concentrating on a few powerful people has allowed the forces of evil to magnify their pathetic power. Controlling human political power has amplified their authority out of proportion to their strength. In the modern world, political power has been centralised and consolidated as never before. The leader of a modern democratic nation has greater power and authority than an emperor in Old Testament times, because they can control every aspect of life in their city or nation. This gives the principalities and power that control nations immense power. And with the NWO consolidation of power and wealth ramping up in the last century, this is now being seen by more and more of the discerning. Even a decade ago it was little-known and hardly talked about. When we vote, we submit to the political powers of our nation. We are saying to them, “You can rule me and the rest of the nation”. At the same time, we are legitimising the power of the principalities and powers that control them, which gives them authority in our lives. Voting gives them power. A vote is a prayer. I refuse to submit to the principalities and powers that control this nation, by voting for the political leaders that they manipulate and control. The beauty of understanding this is that affirmative action is quite simple – a specific “I will not vote” and don’t. In New Zealand we must still register according to the laws, which I do, but it is a privilege not to vote. There are other reasons that some Christian commentators present to us, but this take hits right to the core the best I have seen, dealing with spiritual authority, responsibility, democracy, deception and the significance of Jesus’ redeeming work on the cross.